The number of talented foreigners that are eager to stay in the U.S. is swelling. This year, 236,000 foreigners applied for the H-1B, the most common visa for high-skilled foreign workers. That's up 3,000 from 2015 -- and up significantly more from 2014 which had 172,500 applications. The U.S. Citizenship and Immigration Services will grant just 85,000 H-1B visas (20,000 of which are reserved for master's degree holders), which it selected on Saturday, April 9, via a lottery process. For applicants -- and employers -- the fate of their applications is out of their hands. "The lottery makes everything very uncertain," said immigration lawyer Tahmina Watson of Watson Immigration Law, who said she was anticipating that the number of applications would indeed be higher this year. Related: Trump model to immigration law case to U.S. government... but is it too late? 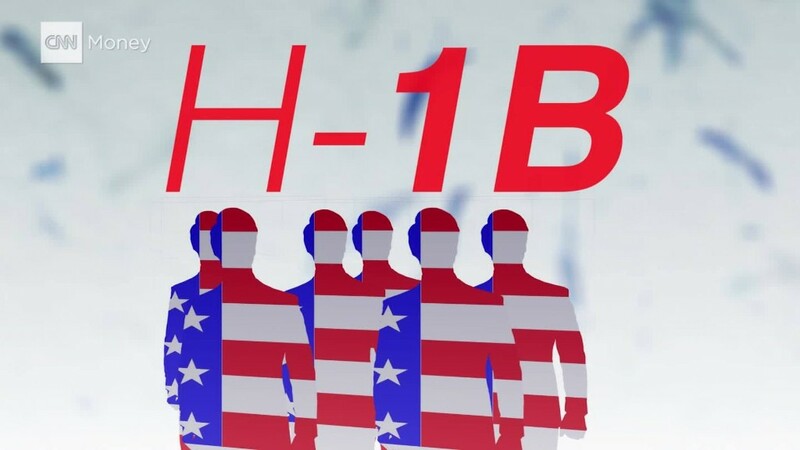 The growing demand is one of the reasons why some regions -- Massachusetts, Colorado and most recently New York City -- have introduced programs to help applicants get around the H-1B cap. With the help of universities, a select number of H-1B applicants can bypass the annual quotas. Silicon Valley types have spoken out about the need for high-skilled immigration reform for innovation's sake. Without a pathway to stay in the country, many talented techies could take their ideas and companies elsewhere. After all, according to a recent study from the National Foundation for American Policy, more than 50% of the U.S.'s "unicorns" -- or privately-held companies deemed to be worth $1 billion or more -- had at least one immigrant founder. Legendary investor Ron Conway spoke about the ongoing need for immigration reform in February. "28% of new [tech] startups in American are started by immigrants," said Conway. Conway is one of the original backers of FWD.us, a group focused on immigration reform that was launched by Mark Zuckerberg and other tech CEOs in 2013. "We have CEOs who can't even stay in the country with the rest of their team. That's the most catastrophic case," added Conway.